Many of our customers like to ask us about the next big thing in lasers, skin care, skin tightening, fat reduction and a whole lot more. No doubt, everyone will be more interested in research and treatments that are relevant to their needs, but there is always something exciting going on in skincare. Even people in the field can have trouble keeping up with research into new treatments and technologies. Thankfully, there are some great people out there who are collecting the most useful information available for everyone to enjoy. The following blogs are great places to get more information about treatments and options before you commit. However, remember that you can always ask us any questions through our FAQs. Regular updates and up-to-date subject matter makes this an excellent blog if you want to stay current on new skin care treatments. This is a great blog that goes into a lot of detail about some of the most effective procedures that are available anywhere. New readers may like the fact that each post is introduced by the symptoms of conditions that it treats. This makes finding details about specific treatments very easy. As you might imagine, this is a great place to find good information about cosmetic laser procedures. Indeed, there is a lot of great information about laser procedures here. However, the blog isn’t focused only on laser surgeries. 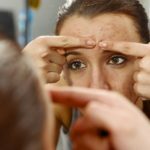 You can find some good information about fillers, botox, fat removal and just about every other topic that commonly comes up when skincare is involved. Dr. Suzanne Kilmer unfortunately doesn’t keep a blog on her clinic’s main website. However she frequently provides expert opinions for the press, and that makes here press section a valuable resource for people who want straight talk about some popular procedures. Here, you can find some great information on both new and common procedures—produced for news outlets so it is often explained very simply and thoroughly. You can find a great mix of information on this particular blog. While the blog does regularly feature news about the clinic, you can still find great information about procedures, supplements and equipment. Be warned that this blog can sometimes come across a little technical to people who aren’t medical professionals. The information posted here is up-to-date, but not all of it has been designed for layman audiences. Dr. Roy Geronemus is one of the most notable voices in modern skincare. His experience and leadership has helped shape many of the newest laser technologies and treatments. 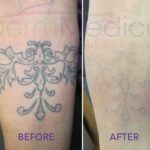 If you’ve enjoyed the results of any recent laser treatments, it’s likely that you’ve already experienced care he helped develop. The Laser and Skin Surgery Center of New York headed by Dr. Geronemus publishes a newsletter, and it’s an excellent resource for anyone who wants to know more about the most recent skincare news. Together, Dr. Robert and Margaret Weiss form one of the most respected skincare teams on the Eastern seaboard. You can take advantage of their pioneering treatments at the Maryland Laser, Skin and Vein Institute. In the meantime, you can enjoy the information that they provide on their frequently-updated blog. You’re sure to learn something interesting—perhaps the exact treatment that you’re looking for. Dr. Paul Friedman is the director of the Dermatology and Laser Surgery Center of Houston. As an experienced professor in the field, he’s made a career out of helping people to understand skincare treatments. If you want to understand more about skincare, you should take some time to read the blog he provides on his website. He has also co-published a comprehensive skincare E-book that can be found there. The blogs listed above should make it easy for you to find good information about any treatment you want to try. However, there are plenty of options if you didn’t find the information that you’re looking for after reading these blogs. We are always available to answer your questions through our website. You can use the FAQ link at the top of the page, or directly contact us for answers.